If you need an experienced Naples Personal Injury Attorney, hire Robert Gluck from the Law Offices of Robert E. Gluck, P.A. 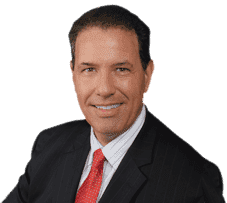 He first became a lawyer in 1989 and has been able to maintain an impressive reputation since then in the South Florida area. He has the experience and resources to represent you in your case so you receive the financial compensation you deserve. The first step Naples Personal Injury Attorney Robert Gluck will need to take before moving forward with building a case for you is to prove negligence existed at the time of your accident. Negligence is the legal standard of care a reasonable person must follow to avoid injury to others. If he can prove negligence existed, he will move on to gathering evidence. Robert Gluck is completely dedicated to being a Naples Personal Injury Attorney you can trust. He will fight hard for you to make sure the at-fault party is held financially responsible. We know how difficult this time in your life can be. Robert Gluck and the team at the Law Offices of Robert E. Gluck, P.A. will be there for you every step of the way. According to studies, seeking the legal representation of a Naples Personal Injury Attorney may get you a higher compensation than if you try to handle your case on your own. The legal process can be very confusing and overwhelming for anyone. You won't have to go through this ordeal on your own. We will take care of all the details for you.